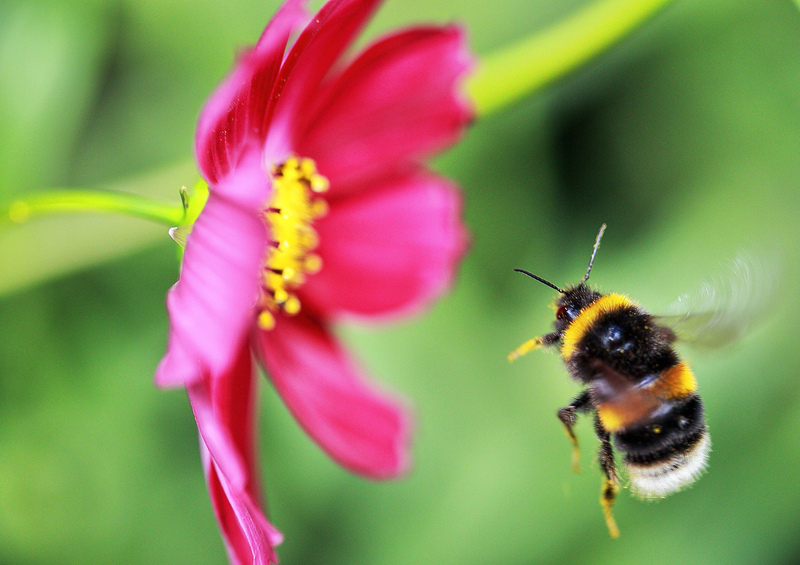 There is a growing body of evidence that a particular type of pesticide - neonicotinoids - may have an impact on bees and a new study suggests this extends to their social behaviour. Using a tiny, robotic platform, researchers spied on bumble bees in their colonies and found that neonicotinoid exposure changed the behaviour of worker bees, making them less likely to feed and care for larvae. The researchers suggest this might help explain why neonicotinoid exposure results in smaller colony sizes and increased mortality among bees. Using a tiny, automated robotic platform to spy on bumble bees in their colonies, researchers have discovered yet another detrimental effect of neonicotinoid pesticides on these insects. As perhaps the most important pollinator, bees are critical to agricultural crop production and to the survival of most flowering plants on Earth. Concerningly, given their invaluable role, bees’ numbers worldwide have declined in recent years. Neonicotinoid compounds — the most widely used class of insecticides — have been shown to greatly impact bees and are a likely culprit in contributing to the shrinking population of pollinator species. Amongst the most striking negative impacts of neonicotinoids is a reduction in colony size; however, how exposure disrupts the within-nest behavioral systems that impair colony growth remains elusive. To determine these effects, James Crall and colleagues used an innovative, automated robotic platform that monitored the behavior of workers in multiple bumble bee colonies. Crall et al. exposed some of the colonies to environmentally realistic concentrations of imidacloprid, a common type of neonicotinoid. Exposure to the neurotoxic pesticide resulted in measurable changes in worker bee behavior within the nest, where the workers were less active, less likely to feed and care for larvae, and more likely to be found towards the periphery of the nest. Interestingly, these behavioral effects differed greatly depending on the time of day, with worker inactivity and reduced nursing behavior being greater at night. In addition, an analysis of free-foraging colonies in the field demonstrated that imidacloprid exposure impaired colony thermoregulation. The results offer an explanation for the reduced sizes and increased mortality of neonicotinoid-exposed colonies, whose colony-sustaining behaviors are notably impacted by the chemical. In a related Perspective, Nigel Raine discusses the implications of Crall et al.’s study on improving future risk assessments of pesticide impacts on bees.